Sony has sold Sony Online Entertainment, an Internet games company it established in the 1990s, to investment firm Columbus Nova. SOE has been renamed Daybreak Game Company and will operate as an independent game development studio producing titles for the PlayStation and Xbox, according to a statement on its forum. 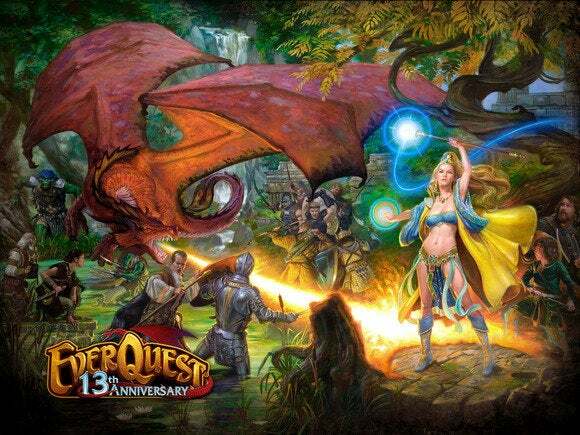 “All of our games are still here and will continue to be,” Daybreak president John Smedley wrote in a message on Twitter, adding that the company is still working on EverQuest Next, the latest sequel to 1999’s EverQuest, a massively multiplayer online role-playing game (MMORPG). With an emphasis on PC games, the company had been in the shadow of Sony’s more popular video game hardware business including the hit PlayStation 4 console, as well as the recent rise of games for mobile platforms. “We determined it was in the best interest of both entities to allow the studio to realize its full potential as a multi-platform online gaming company,” Sousuke Kamei, a spokesman at Sony’s Tokyo headquarters, said via email. “The environment surrounding the game industry is always challenging, and we are doing a review of our business on a regular basis. As part of it, we decided to sell SOE for strengthening the overall business quality in order to increase higher profitability,” Kamei said. SOE is the latest business to be shed by the struggling manufacturer, which sold its Vaio PC business and pulled out of e-readers last year.